This product is made of heavy gauge wire and constructed to hold (16) sixteen rolls of (2) two or (3) three inch core diameter material up to 1000 lbs. This rack is durable enough to hold up to 72 inch wide material with ease. Proper storage of wide format materials dictate supporting rolls by the core to avoid damaging the special coating on the roll face. 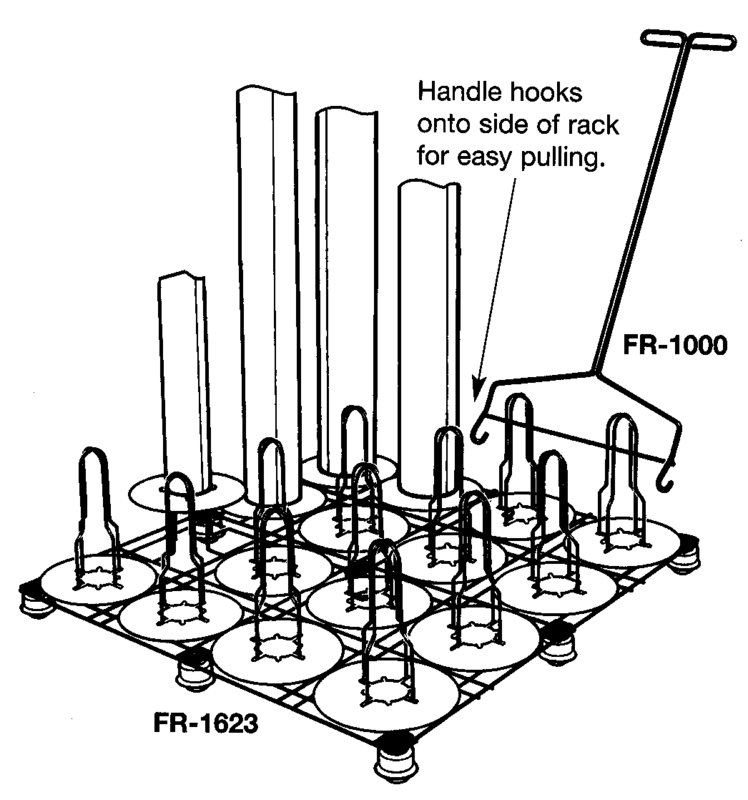 The rack comes with (16) high impact protective plastic rings that prevent material damage while storing on the rack. The unit has 9 ball caster rollers to allow easy movement with the rack fully loaded. Pricing includes handle.